How much is Fardeen Khan Worth? Fardeen Khan net worth: Fardeen Khan is an Indian Bollywood actor who has a net worth of $40 million dollars. 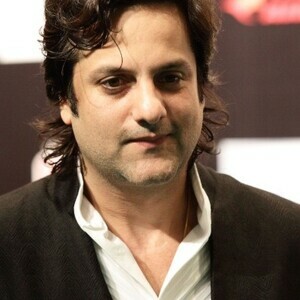 Fardeen Khan was born in Mumbai, Maharashtra, India, and attended the University of Massachusetts-Amherst, where he studied Business Management. He began his acting training at Kishore Namit Kapoor's Acting Institute. He began his professional acting career in 1998, with a role in the film, "Prem Agan". His work in the production garnered him the Filmfare "Best Debut" Award. It was two more years before he would shoot another film. Since then, he has worked steadily, appearing in three or more films per year. Some of his projects have included, "Jungle", "Hum Ho Gaye Aapke", "Kuch Tum Kaho Kuch Hum Kahein", "Khushi", "Bhoot", "Fida", "No Entry", "Ek Khiladi Ek Haseena", "Just Married", "Heyy Babyy", "Jai Veeru", "Acid Factory", "All the Best – Fun Begins", "Dulha Mil Gaya". He is next slated to appear in "No Entry Mein Entry".